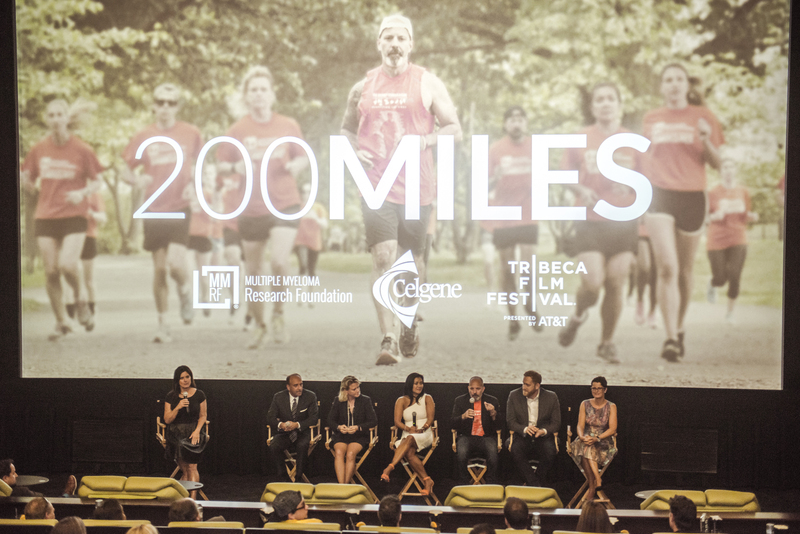 Norwalk, CT and Summit, NJ – May 5, 2017 – “200 Miles,” a documentary capturing the inspiring story of ultra-marathoner and multiple myeloma advocate, Eric Gelber, and his Journey Towards a Cure for the deadly blood cancer, was unveiled last week during a screening at the 2017 Tribeca Film Festival. 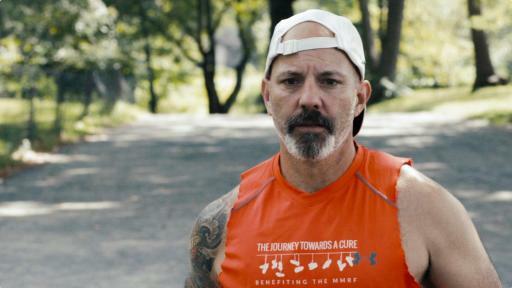 The film documents Eric’s grueling attempt at running 33 loops – totaling 200 continuous and consecutive miles – around New York’s Central Park in one weekend to raise awareness and more than $320,000 to bring his cumulative total to over $1 million dollars for the Multiple Myeloma Research Foundation (MMRF). 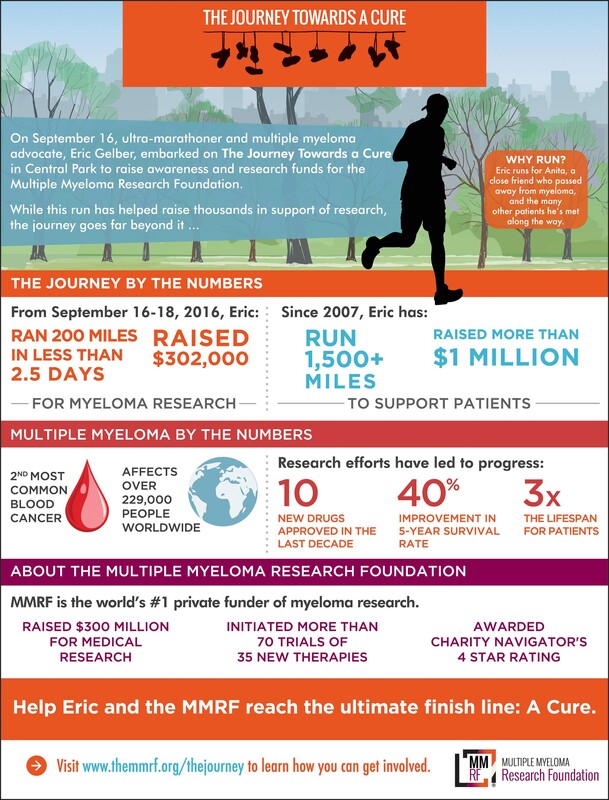 The film not only documents the challenges, heartaches and triumphs of Eric’s run, but it also follows the stories of several multiple myeloma patients whose lives have been touched by Eric’s personal dedication to supporting efforts to find a cure for the disease. 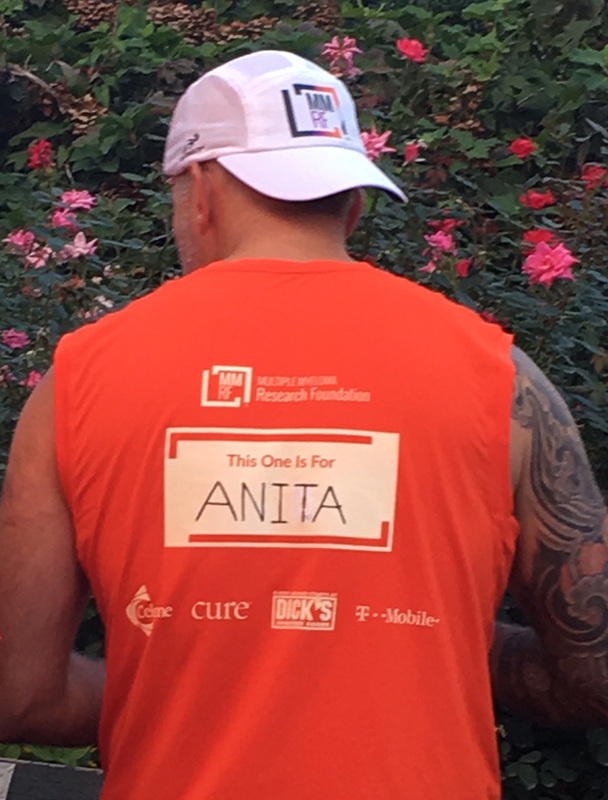 Eric began running for Anita, his close friend of 20 years, who ultimately lost her life to multiple myeloma. The MMRF is the world's number one private funder of multiple myeloma research, which has helped advance treatments that have improved outcomes for multiple myeloma patients. In fact, new therapies have helped increase the five-year survival rate for multiple myeloma patients by over 50 percent since 1999. Still, despite this progress, it is estimated that approximately 12,650 Americans died from the disease in 2016. 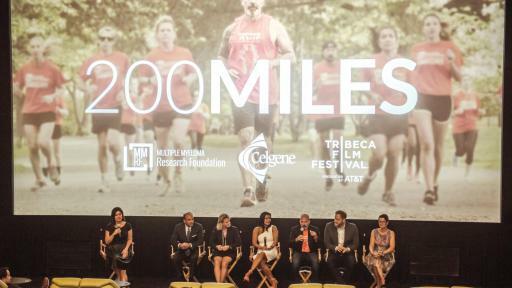 “200 Miles” was directed by Sam Bathrick, produced by Tribeca Studios and Celgene Corporation, and funded by Celgene Corporation. Multiple myeloma is a cancer of the bone marrow plasma cell. It is the second most common blood cancer. In 2016, an estimated 30,330 adults (17,900 men and 12,430 women) in the United States were diagnosed with multiple myeloma and an estimated 12,650 people were predicted to die from the disease. Today, the five-year survival rate for multiple myeloma is approximately 47%, versus 31% in 1999. 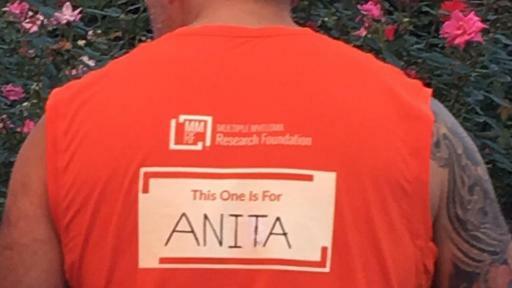 The Multiple Myeloma Research Foundation (MMRF) was established in 1998 as a 501(c) (3) non-profit organization by twin sisters Karen Andrews and Kathy Giusti, soon after Kathy’s diagnosis with multiple myeloma. The mission of the MMRF is to relentlessly pursue innovative means that accelerate the development of next-generation multiple myeloma treatments to extend the lives of patients and lead to a cure. As the world’s number-one private funder of multiple myeloma research, the MMRF has raised $300 million since its inception and directs nearly 90% of total budget to research and related programming. As a result, the MMRF has been awarded Charity Navigator’s coveted four-star rating for 12 years, the highest designation for outstanding fiscal responsibility and exceptional efficiency. Donations to the MMRF can be made at www.themmrf.org. 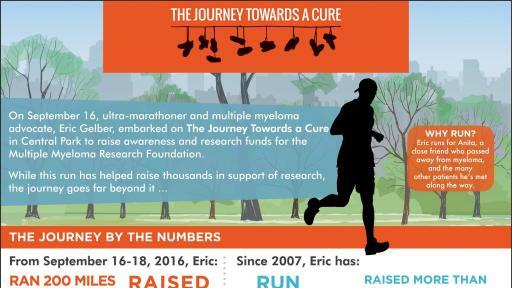 Follow the MMRF on Facebook, Twitter (#justamiletogo) or text “Eric” to 80077. 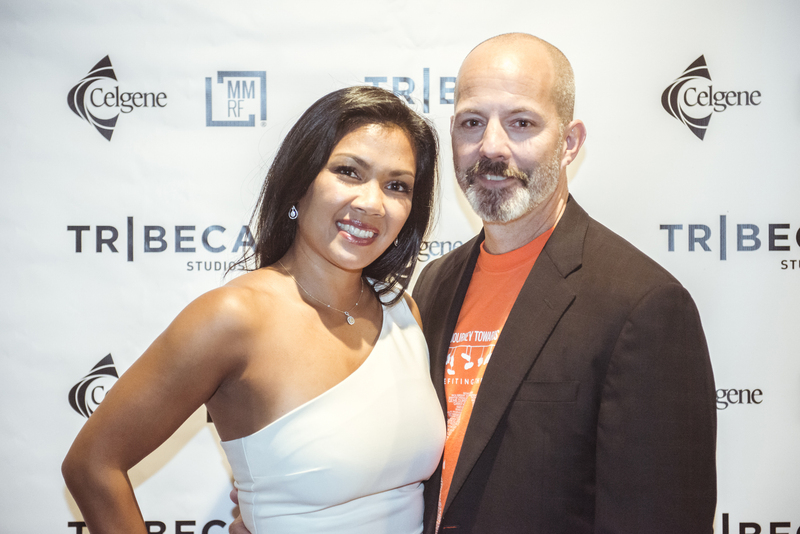 In continued support of Tribeca Enterprises’ mission, Tribeca® Studios develops and produces original programming for leading digital networks, custom film projects in association with brand partners and digital content for emerging platforms. Tribeca Studios delivers high quality storytelling across the evolving media landscape by utilizing our network of filmmakers and established track record in film and television production.